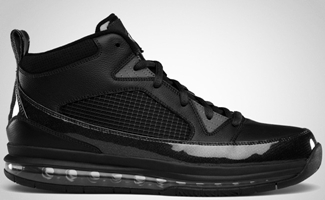 Since it surfaced in different websites during the last quarter of 2011, the Jordan Flight 9 Max RST has been making waves and finally, Jordan Brand is about to release it this February. 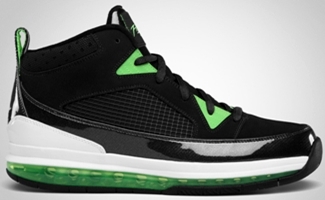 Its predecessor the Jordan Flight 9 is already an impressive shoe. What more today’s edition which has been fully enhanced through its appearance and performance-based qualities. This new silhouette, which boast the full-length Max Air bag as one of its key improvements, will be released in Black/White – Action Green and Black/Dark Grey colorway. This will hit the market anytime this month. Watch out for it!